As a mom, I’m always looking for easy ways to incorporate service learning and giving back locally with my kids. Finding a meaningful, yet kid-friendly, social good project is so important. King Arthur Flour’s Bake for Good program and their local partnership with the City of Gaithersburg fits the bill. King Arthur Flour has teamed up with the City of Gaithersburg for their Hunger Awareness Month initiatives to fight local food insecurity. King Arthur Flour is offering free baking programs in the city and at local schools for in-school events to spread the joy of baking. These programs teach kids to bake and also to donate the fruits of their baking to others. Think of it as positive social change through the gift of bread. Individuals, families, and businesses are joining the Bake for Good Gaithersburg cause, and you (and your kids) can too! 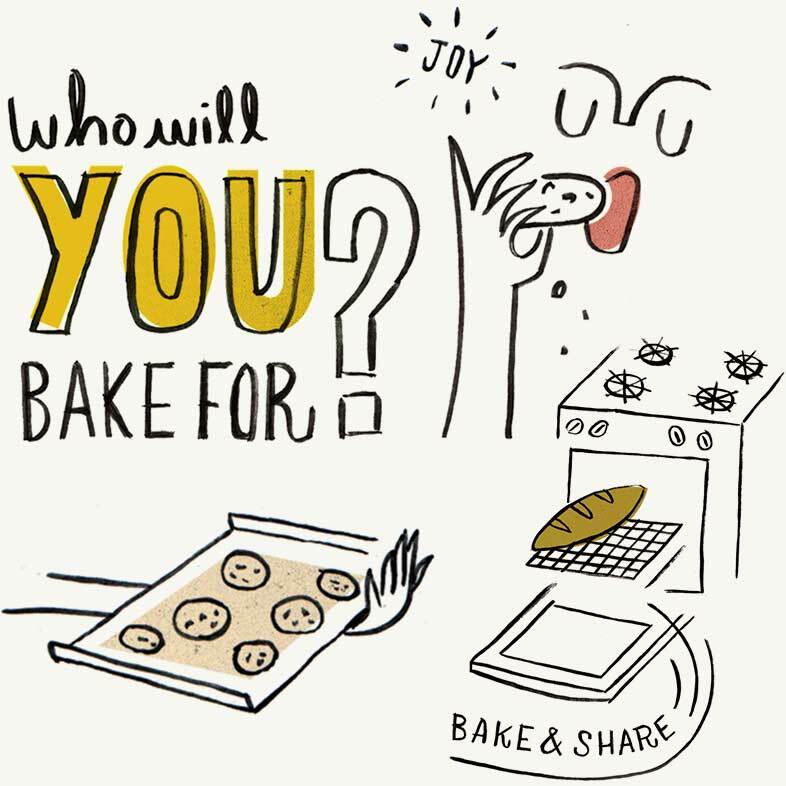 Pick a kid-friendly baking recipe and gift your fresh-baked love to family, friends, teachers and others who make your world a better place. Eve, Alice and I made the Bake for Good Kids Bread Recipe, using the awesomely adorable kid-facing recipe booklet you can download here. It was our first time making real bread with yeast, something I had assumed would be a daunting task. But it was so easy! And delicious. The Bake for Good Kids Bread recipe highlights the message of giving, because it yields a one loaf of bread for the kids to keep, and one to donate to loved ones or someone in need. This is one of the recipes the Bake for Good team is sharing in local schools, and I know those students will love baking bread to both enjoy themselves and to share. 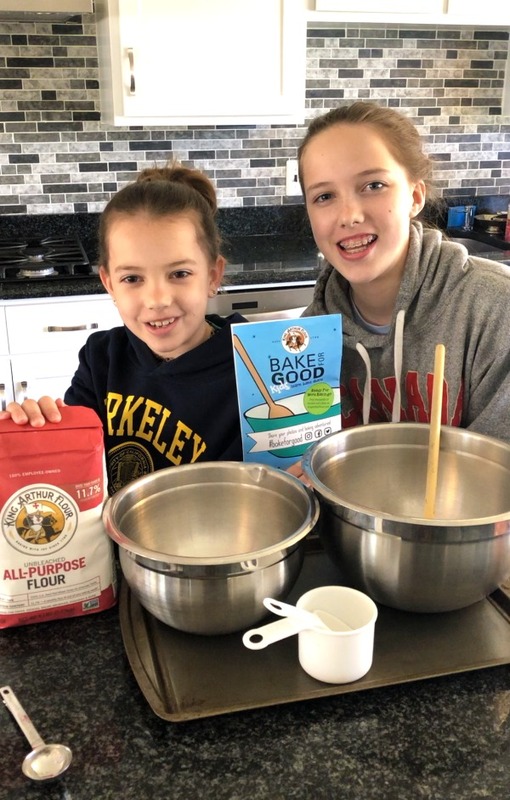 Learn how you can request a King Arthur Flour Bake for Good In-School Demonstration or Self-Directed Group Baking Activity. King Arthur Flour provides the flour and materials! Whether you decide to Bake for Good with your kids, or donate in another way to a local hunger organization, be sure to sign the online pledge at Bake for Good Gaithersburg. Let’s help reach of the goal of 1,000 local donations! Thank you to King Arthur Flour for sponsoring this important program and asking my family and I to get involved.